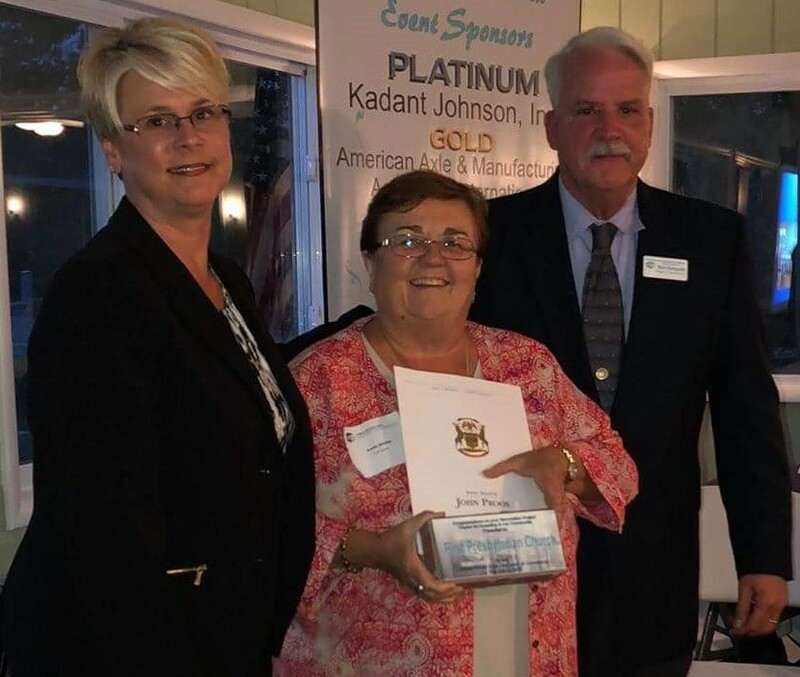 First Presbyterian Church of Three Rivers/Centreville was honored with a Brick Award during the Three Rivers Area Chamber of Commerce’s annual dinner held on Wednesday, October 4 at Pine View Golf Club. Pictured here, Clerk of Session Pattie Bender (center) receives the award from outgoing Chamber board chair Gaylene Adams and incoming Chamber board chair Mark Honeysett. The award citation read: With a 100+ year old building, investments certainly become necessary and the infrastructure of the church was completely upgraded along with an extensive renovation project on the main floor including creating new offices and gathering spaces, plus brand new restrooms, painting on both floors including the sanctuary. The end result is a beautifully updated facility for their congregation and community to enjoy.